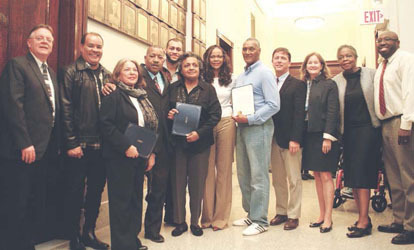 The Chelsea Black Community (CBC) has become a highly visible and active organization since its inception four years ago under the direction of President Joan Cromwell. 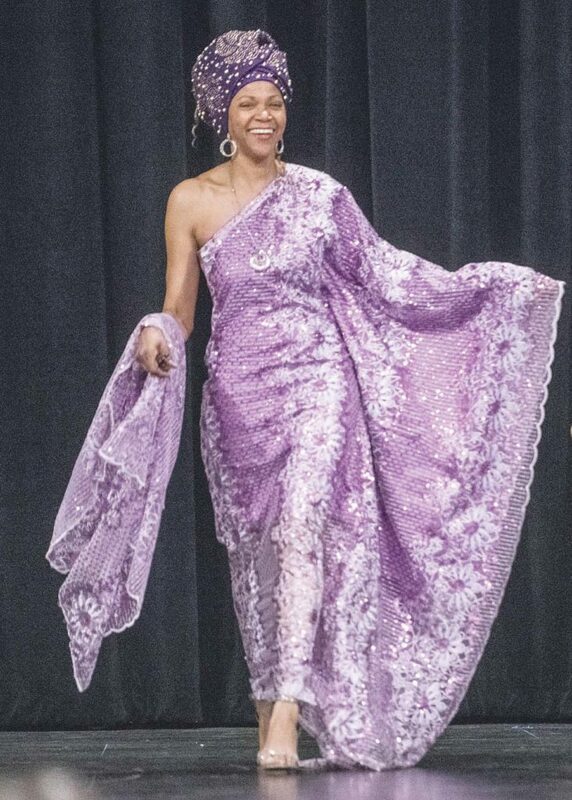 The CBC has drawn large crowds to its events and it has assumed a major leadership role in the city’s celebration of Black History Month in February. Now Cromwell and the CBC are entering the election arena as the sponsor of a Candidates Forum to be held Weds., June 27, from 6 to 8 p.m., at the Chelsea Senior Center. The five candidates for the Democratic nomination for Suffolk County District Attorney, EvandroCarvalho, Linda Champion, Gregory Henning, Shannon McAuliffe, and Rachael Rollins have all accepted the CBC’s invitation to participate in a panel discussion and question-and-answer forum with the audience. Congressman Michael Capuano and Boston City Councilor-at-Large Ayanna Pressley, candidate for the Seventh Congressional Seat, were invited to participate in the Congressional Candidates’ portion of the forum. Cromwell stated that Pressley will participate, while Capuano informed the CBC that he will be in session in Washington and unable to attend the forum. Sharon McAuliffe, associate dean at Bunker Hill Community College, will serve as moderator of the forum. Cromwell said the CBC decided to hold the forum after some of the candidates for the DA position reached out to the organization. Sensing a heightened interest in the contest due to DA Dan Conley’s decision not to run for re-election, the CBC opted to invite all five candidates to the city. “We wanted to be fair and unbiased, so we said, ‘why don’t we just host a candidates’ forum’ so they can all have equal time with the community to get their points across,” said Cromwell. The CBC president, a member of a long-time and well-known Chelsea family, said there are many issues in the news including immigration, the legalization of recreational marijuana in Massachusetts, and substance abuse. Questions for the forum are being sent to the CBC by local organizations such as Roca, the Youth Commission, the Chelsea Chamber of Commerce, and the Jordan Girls and Boys Club, among other groups. Caulfield will have three questions for each of the candidates. The second half of the forum will be pre-selected questions from the audience. If past CBC events are an indication, the Candidates Forum will be professionally done and well attended – and yes, Joan Cromwell said there will be great refreshments, something else for which the CBC has also become known. Chelsea residents Michael Albano and Eden Edwards have been supporting the Apollinaire Theatre for seven years by throwing a dinner party in their beautiful eclectic home to raise money to support the theatre’s free, outdoor, summer Apollinaire in the Park productions. “Of all the things Apollinaire does, it’s their best service to the community,” says Michael. Michael, a Somerville native, first moved to Chelsea in 1995 and soon began looking for ways to get involved in the city. “My father was always a community activist,” says Michael. “It was just what you did in my family.” He was a part of the Chelsea Collaborative and Green Space (now GreenRoots), and was the chairman of the Chelsea Planning Board for four years. After the downturn in the economy, Michael turned his focus to his business. When he was ready to serve the community again, he found Apollinaire Theatre Company. Michael joined the Apollinaire in the Park committee, after a decline in funding forced the cancellation on the 2011 show. He and Eden’s generous support of the theatre has grown into an exceptionally fun and memorable annual dinner in their home featuring Michael’s cooking, and performances from the Apollinaire in the Park cast. This summer Apollinaire is producing Shakespeare’s A Midsummer Night’s Dream. Cast members will be performing “Pyramus and Thisbe,” Midsummer’s play within a play, at the party. On making Chelsea their home, Michael says, “Chelsea found me.” Eden, a Nebraska native who moved to Chelsea in 2001 adds that she feels “lucky to have found Chelsea.” The couple describes their home as a “Victorian beach house.” The Victorian details have a nautical flair, such as the banisters with waves carved into them. It was built in 1895 by a shipping captain from Beacon Hill as his second home and was the first home built in its Chelsea neighborhood. At the time it was constructed, the captain would have had an unobstructed view of the beach he could walk to. -Michael’s journey as a cook began when he was just eight and made his first pizza. His father, who dabbled in the restaurant business, was the cook in the home. Michael’s culinary style is influenced French, American, and of course Italian cuisine (he lived in Italy for a number of years). He worked in the famed Ciro’s restaurant in Boston and enthusiastically describes himself as a food-lover. Michael will be serving up a variety of hors d’oeuvres, vegetables, ravioli, New York strip steak, and his popular roasted Tuscan chicken and au gratin potatoes with wine, beer, and soft drinks. (Eden looks out for the vegetarians!) Apollinaire actor Ann Carpenter is known for contributing her famous vegetarian lasagna. There will also be desserts from Pan y Café. For wine enthusiasts, there will be a mini wine tasting/pairing offered from Eden and Michael’s reserve as an add-on for partygoers. While hosting the dinner is big undertaking—Eden’s sister, agents from Michael’s real estate office, and friends often help them prepare—Michael and Eden are very happy that it has become a tradition in the community as well as in their home. “When people involved with the Chelsea community are in my house, it’s the most fun nights here apart from having family,” says Eden. The party always happens in June, not just to poise it to best serve fund-raising efforts for the theatre’s July performances, but also because Michael’s birthday is in June. The party doubles as a celebration for him where he can get friends who are not from Chelsea involved in supporting Apollinaire. This year’s party is on June 15th at 7:00pm at the couple’s home: 32 Crest Ave., Chelsea. Tickets can be purchased through the theatre’s website: www.apollinairetheatre.com, at the door, or by calling 617-887-2336. Apollinaire’s A Midsummer Night’s Dream runs July 11 – 29 at 7:30pm in Chelsea’s waterfront PORT Park, 99 Marginal Street. ALL performances are FREE. Contact the theatre to learn about opportunities to get involved with the show! Apollinaire in the Park is a program of Apollinaire Theatre Company (ATC), Chelsea’s award-winning professional theatre. ATC produces adventurous contemporary theatre, and free outdoor summer shows. The ATC’s home is the Chelsea Theatre Works in Chelsea Square, which houses their three theatres: the Apollinaire Theatre; the Riseman Family Theatre, home of their youth program, the Apollinaire Play Lab; and the Black Box—a co-working rental theatre for Boston Area performing artists. Visit them on the web at www.apollinairetheatre.com. 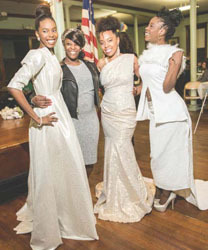 The fashion show during Friday night’s Night of Performing Arts Celebration – part of the ambitious Black History Month calendar was presented by designer Seneeca Wilson (second from left) of Khy Alexander Bridal by Eclas. Modeling her designs were Khy Alexander (from whom the fashion line was named), Denise Wilson, and Chanyce Kane.